Great staff. Nice amenities. Only suggestion is better cleaning and maintenance in main or common areas. Would highly recommend to a friend. Best apartment ever! Good apartment for pets and kids! Nice and kind leasing office people and managemnet office people! Good location! On-site parking is great! I'm leasing a parking spot at the garage in this building. It's safe, well monitored, and well managed. Highly recommend for anyone looking for a parking spot in the area. The community environment is great. The staffs are friendly, nice and effective in maintaining service. But sometimes the working garbage truck (I guess) in the early morning can be really annoying. I've enjoyed living here and everything is well maintained for the most part. The treadmill in Eco really needs to be fixed though. It's been broken for months now. My residential experience at E3 has been very positive. The building is consistently clean and I love how I get an alert with every package that I receive notifying me that it has been securely placed into the package concierge This gives me a peace of mind while I am at work. The location and neighborhood are top notch if you're a foodie and enjoy city-living! This place is dirty. All animal friendly buildings (especially with a lot of small children) should be vacuumed daily as other development companies do. Garage is full of dirt and trash as well--it should be swept quarterly and trash should be cleaned weekly. Gyms should be open 24-7. Rules are not enforced. For example, on 5th floor of element, welcome mats are prevalent and woman takes kid for exercise through hallway every single morning--tons of noise. Enforce the rules. Love it here! A great place to live with everyone being so friendly. Apartments are great and so are the anemeties. My husband and I love it. This is a very good apartment. I would highly recommend anybody to live here. The location is so convenient for everything. First, just five minutes walk from Grigg Street Green Line station. Second, there are plenty of supermarket and restaurant that you can find food. Lastly, this is a very quiet neborhood. The security is good. It is just the private room and the public media room on the second floor have scents that make me feel not comfortable. It doesn't have windows, and the AC is locked, so I can't make any change, and we never go because the smell. Great community and a great location. Close to restaurants, grocers, gym etc. Cons - could be better maintained for a 5 star, better flooring would help. Has been amazing thus far. The location is super convenient, the apartment amenities are awesome. And the staffs are amazing. I would highly recommend this place to my friends. I enjoy living at E3. The amenities (including the gyms, common areas) are great. The various parking garages/lots are convenient. The staff/maintenance are very responsive to emails and requests. Great place to live with immediate help from the working staff. The residents are amiable with onsite covered parking with great events that tries to build a community. I'm not a resident of E3, but I live up the street.  When looking for an off-street parking spot, however, I immediately thought of E3 as they are well-known in the area for being an excellent community to be apart of. Parking at E3 has been a fantastic experience, and has saved me lots of headaches! The apartment is in such a great location!! Close to many different restaurants and bars and only a short two minute walk to the green line!! Safe area and building. Staff always helpful and friendly. The rentcafe is so convenient! Gym is great and has yo to date equipment and they have events weekly/monthly for the community. Great location. Staff are friendly. Building is kept clean. Upstairs neighbor with their children is incessantly loud at all times of the day. Parking spaces are tight. Awesome place, my wife and I enjoy living here. The amenities are great and the gym has a great view. The location is close to everything you could imagine. Great maintenance staff, great construction quality thanks to Mount Vernon, good facilities, mediocre cleanliness, very poor value relative to high rent price. Great employees and staff. Want to stay forever! Quick maintenance response, and nice sense of community. Will recommend to friend if this service keeps up! Good amenities, clean building, friendly staff. For this kind of apartment building, noise issues aren't too bad. Quite response from maintenance staff.